Digital will represent 30% of all US restaurant sales by 2025(1). 4 in 10 restaurant visits are influenced by the guest’s mobile phone(2). 20% of guests have ordered ahead when eating at a restaurant chain(2). When we released our report on the impact of digital on the restaurant industry in 2017 we had a strong thesis on the growth of digital channels. We projected digital restaurant sales growing 5x from 6% in 2017 to 30% by 2025. While directionally we were correct, we completely underestimated how rapid the ascent would be. In our follow-up dining guest and restaurant operator study that we conducted earlier this year we found that digital is no longer at the periphery of the dining experience, and that operators are largely underprepared to deliver on the expectations of this new guest experience. Digital is now deeply embedded into the entire dining journey and 4 in 10 restaurant visits are influenced by a guest’s mobile phone. Pre-meal research for reviews and menu items is a habit across all generations (Gen-Z to Boomers), and digital ordering a growing expectation. In-the-moment sharing of dining stories has become a new social currency. This has significant impact on not just how restaurant operators think about the guest experience, but also on how restaurant operations and processes need to be tuned to support digital demand and influence. Millennials lead this charge and use digital to enhance their dining experience every other trip. Their digital activities range from those to researching where and what to eat (60%) to sharing pictures and content (23%). While most restaurant operators are well prepared to deliver on the base expectations of the guests today, they are challenged by what is to follow. Over the next 24 months, all guests will start weighing factors such as mobile order ahead and contactless payments incrementally higher than more traditional factors. This will result in the emergence of a new set of table-stakes, which will soon become the base dining expectations of all guests. The core essence of those expectations is using technology to streamline the order, pay and collect process irrespective of where and how the guest orders. (More details about the execution gap can be found here). Most operators are underprepared to deliver on these new expectations and their investments seem driven more by a desire to match competitor initiatives rather than a true reexamination of what makes their dining experience unique. Starbucks has to be given credit as their mobile order and pay truly changed the game. Mobile is no longer a cute little experiment but a significant business opportunity. However, even they weren’t immune to operational under-preparedness. Its mobile order-ahead experience initially led to frustrating wait- times at pick-up for shoppers and higher labor costs. McDonald’s, while late to the game, has focused its effort on getting their digital operations to support their core proposition; speed of service and supporting the drive-thru. Or as they put it, “Digital is the next drive-thru”. Operators need to redesign their business processes and invest in technology to meet and exceed guest expectations. Mobile order-ahead is the most critical aspect of the guest journey restaurants must focus on. A good way to begin is by assessing the end-to-end order-ahead process. 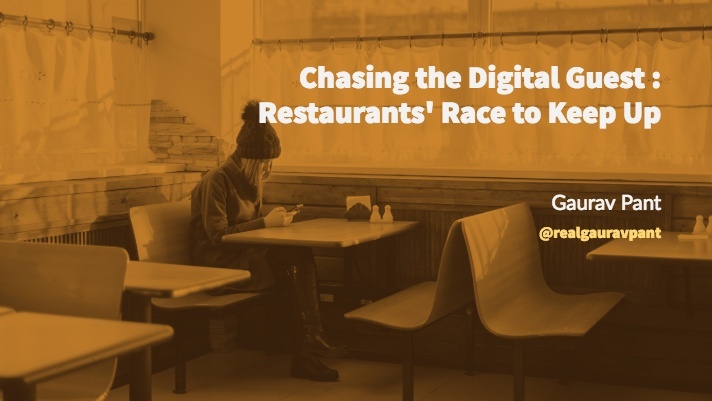 For more information on guest expectations and operators preparedness on the digital dining experience, see our new report: Restaurant Digital Crossroads: The Race to Meet Guest Expectations. 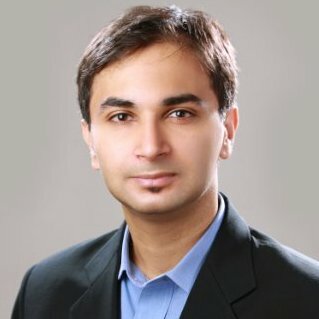 For more information on our research partner, BRP/Windstream, visit https://www.windstreamenterprise.com/industries/retail. We will continue this series on the state of digital in the restaurant industry through an examination of the new non-linear, time-shifted, place-shifted dining journey over the next few months. Stay tuned. Incisiv Digital Restaurant Study (2017). Incisiv BRP-Windstream Enterprise Dining Experience Study (2018).